Food Security: the state of having reliable access to a sufficient quantity of affordable, nutritous food. Food security has declined dramatically in many developing countries. 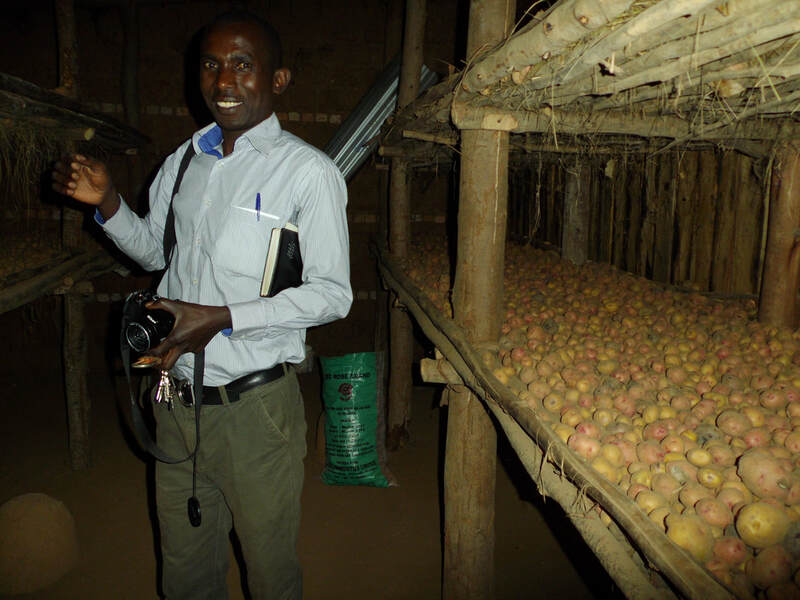 The Food Security Program was initiated by the Kigeme Anglican Diocese in 2000. The Udder Project took over funding of this program in 2010. Since then, we have trained two veterinarians and 17 veterinary assistants. 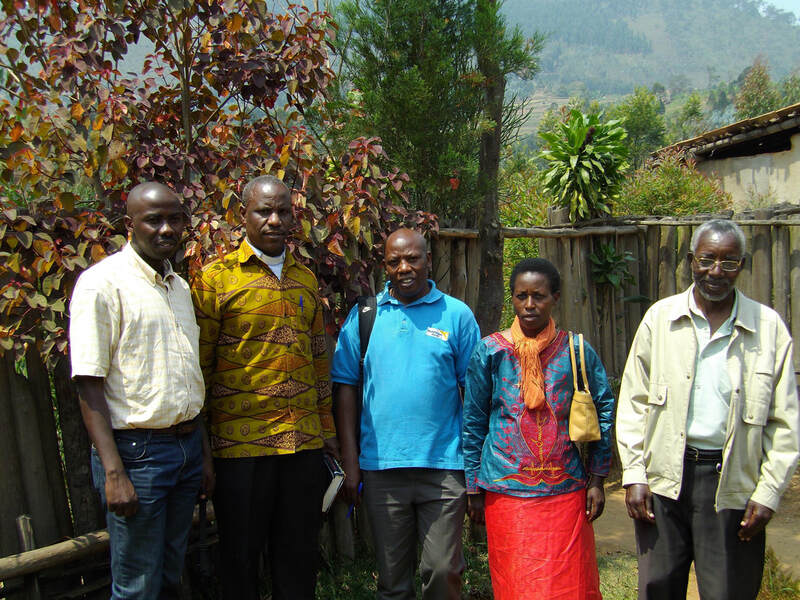 We support 17 different areas in the Kigeme Diocese that are suffering from poverty. ​The Food Security Team is comprised of two veterinarians, an agronomist, a social worker, a coordinator and a part time accountant. We focus on the training of the local people in animal husbandry, agriculture and social development such as family planning, AIDS prevention and violence prevention. The long term goal is to end poverty in these areas and to create an environment of self - sustainability. ​ Cyivugiza, 2017 update: Pastor Vincent is still the leader of the Parish. We have regularly visited this site every time we come to Rwanda as we are consistently amazed at the wonderful changes that occur at this site. This is proof that forward thinking, planning and lots of hard work can bring about some amazing changes in people's lives. 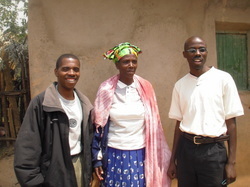 Pastor Vincent's main goal is to eliminate poverty in the area and he is well on the way to achieving this goal while motivating many people of his Parish in the process!! They are harvesting Irish potatoes and storing some of them to obtain superior seeds to sell. We traveled down a very long hill to a valley where he showed us all the land that they have cleared, by hand no less, and the crops that they have planted. When we first visited Cyivugiza, this land was primarily treed and not usable. In 6 years, they have almost cleared all the land and have planted different crops. They are also planning on building a guesthouse in the future and are going to raise revenue for this through the sale of trees that they have planted on 2.5 hectares of land. Cyivugiza has come so far ahead from the area we visited seven years ago. It went from a very poor, AID's ridden population to one of the most impressive parishes we have seen in our travels in the Kigeme Diocese. 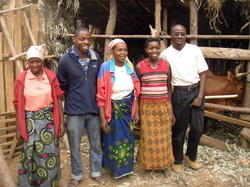 - agriculture training to produce food for the families and for the livestock.